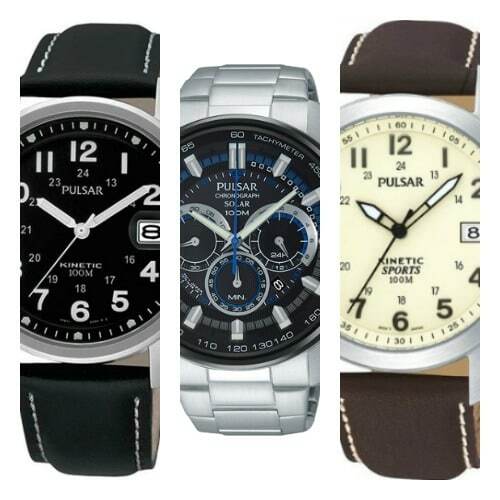 Hello everyone, today we’re going to be showcasing 15 of the best Pulsar watches for men. There’s a great variety of styles and designs so I’m hoping there’s something that may interest everyone in one way or another. 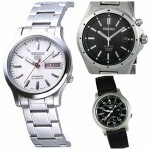 There’s a choice of analogue watches, digital watches, sports watches, and even a minimalist watch to look at. There’s no particular order to today’s list. To find out an up to date price on any model just follow through to the sales page for that watch. 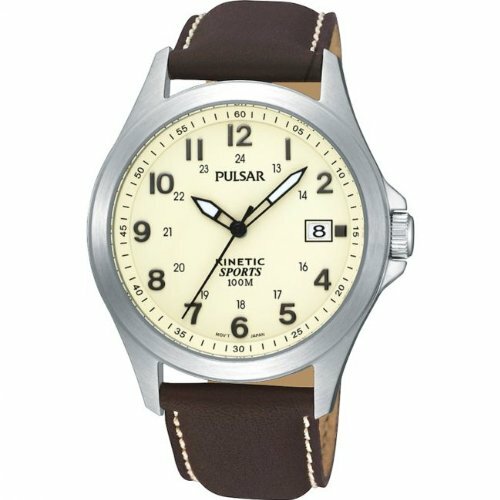 I hope you enjoy checking out these most popular Pulsar watches, let me know what you think at the end. First up we have a really popular smart looking Pulsar Kinetic watch that features this great high visibility display. The bold white numerals and hands are easily seen as they’re high contrasting against the black of the dial. There’s a neat little date display with a slight magnification too for added readability. This Pulsar watch has a 38mm casing diameter with an 8mm thickness making it slightly smaller than many of the watches you see around at the moment, with a nice slim finish. The Kinetic movement is obviously a major selling point, it charges up like an automatic never requiring a battery, but then uses this energy to power a quartz movement giving the watch an excellent power reserve. Finished off with its 100m water resistance rating, this is a decent Pulsar watch that should suit most people. 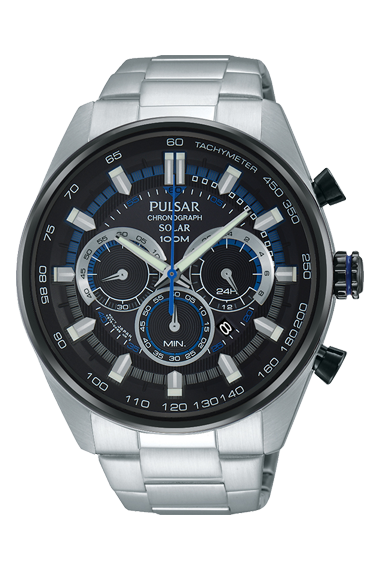 Next up we have an interesting looking solar powered chronograph watch from Pulsar. Well known for their Solar watches (As well as their kinetic models) this Pulsar charges up from the power of light and never requires a battery. 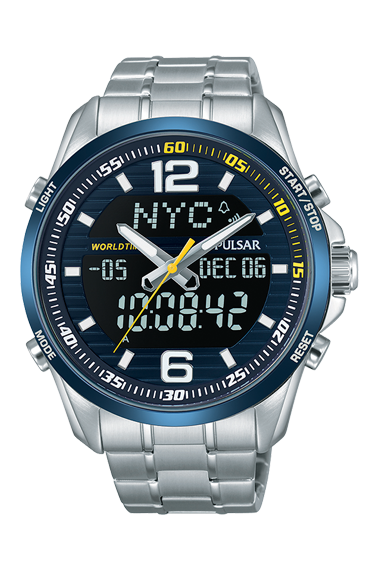 Solar watches are really popular for quite a few brands, and this model for Pulsar is a best seller. The watch is quite large with a 44mm diameter and 14mm thickness and features a date display as well as a 100m water resistance rating. 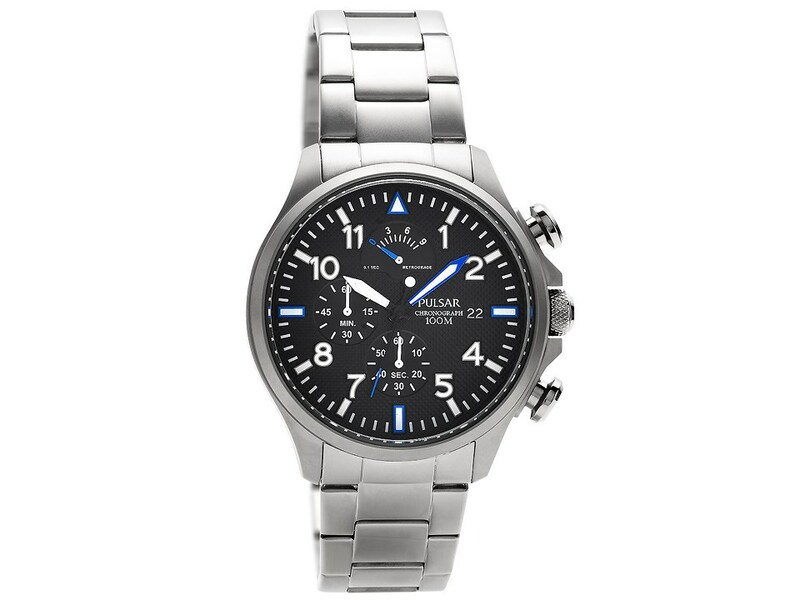 I personally like this dial design with the blue detailing and the way the chronograph sub-dials are set out. There’s a small date display tucked in at the 4.30 mark and lume coating the hands and hour markers. 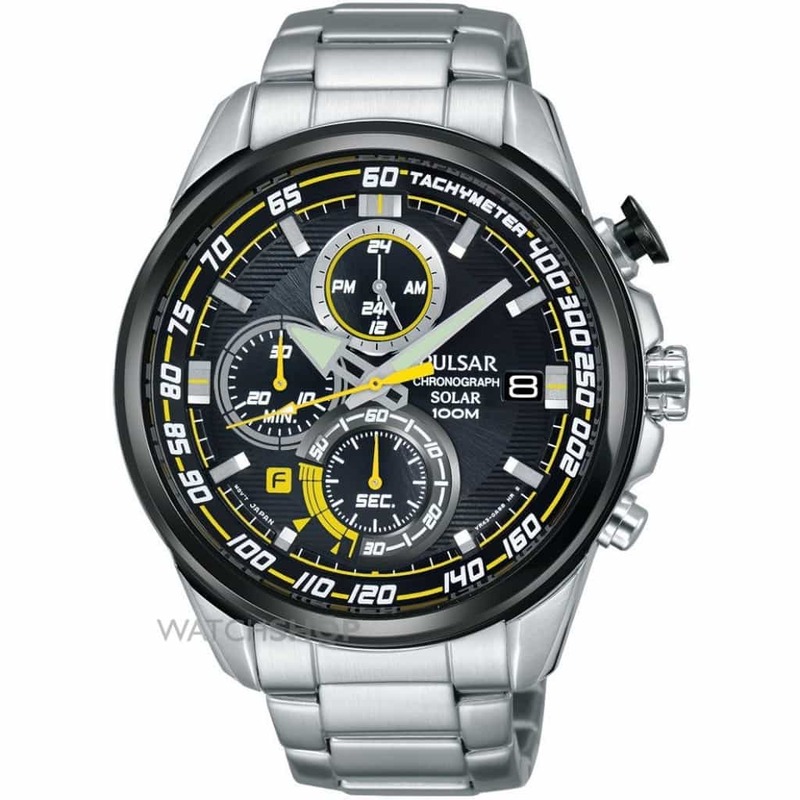 Here we have a stainless steel Pulsar chronograph timepiece. The watch is powered by a Japanese quartz movement which makes it accurate and reliable. The watch has a genuine leather strap with white stitching along the edges and is fastened with a typical buckle style clasp. 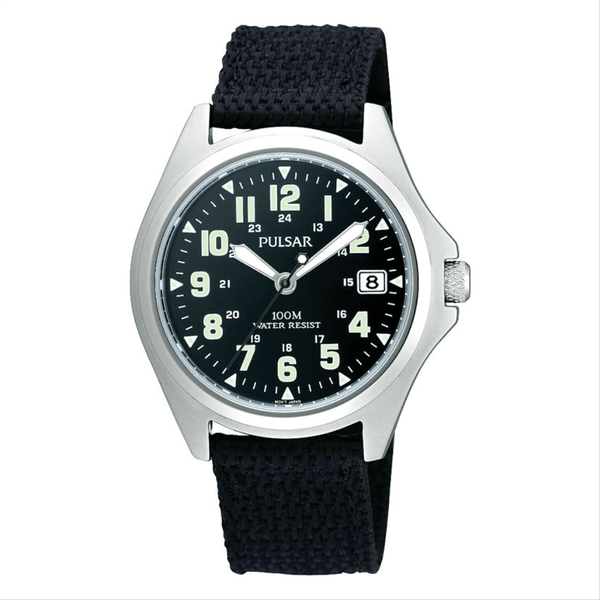 This Pulsar watch also has a resonable 100m water resistance rating. This is the first dual display Pulsar watch featured on our list today. I love the colouring of this watch, the blue with small amounts of yellow detailing really makes it stand out. The large 44mm watch has a dual digital and analogue display with this big LCD screen which displays many of the watch’s extra features. Features of the watch include a date display, alarm function, stop watch up to 99 hour accurate to 1/1000 second, split time, world time display, and an illuminating back light. Again with a 100m water resistance rating this watch should prove ideal for most people. 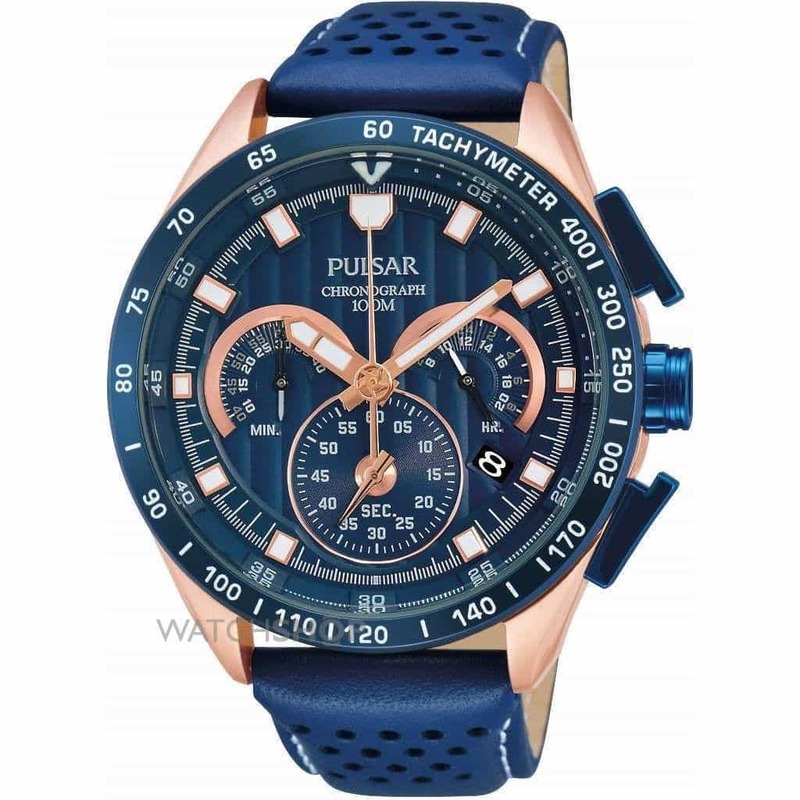 Up next we have another popular Pulsar chronograph watch that features this really interesting blue detailing on the hands and a select few of the hour markers. The watch is powered by a reliable quartz chronograph movement and has a very good 100m water resistance rating. If you’re after something a bit different and wanted a timepiece that really stood out on your wrist, then this oversized Pulsar watch might just be the ideal choice for you. It’s powered by a reliable chronograph quartz movement and has an impressive 100m water resistance rating. The real jewel of this watch is this fantastic stand-out design with the blue and rose gold finish throughout the watch, well worth looking at. 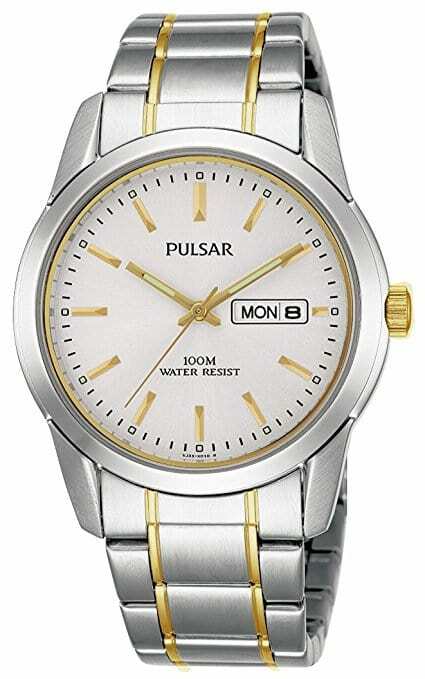 This is another best selling Pulsar watch. It’s been popular due to its popular military style mixed with modern technology. 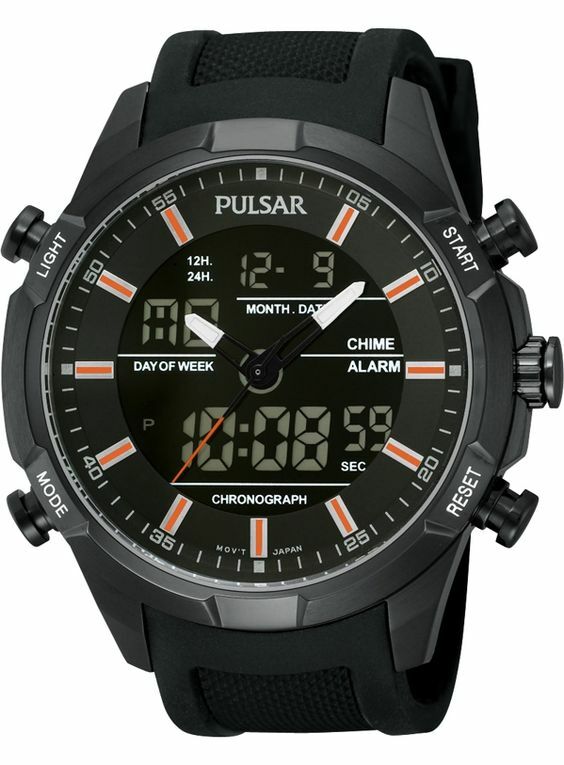 This is a Pulsar solar watch meaning it never requires a battery as it uses light to power its movement. The display is quite large with a 45mm casing and features these bold easy to read numerals and hands. There’s also a good coating of lume on the hands and hour markers for easier reading at night. For those who are wondering, this model also features a 100m water resistance rating. This next men’s Pulsar watch is from their Kinetic series. The Pulsar Kinetic watches have a very clever movement that’s a blend between an automatic and a quartz. The key benefit is that you get a much longer power reserve, sometimes even months worth. The watch charges up like an automatic, not requiring a battery, but then holds this charge to run a quartz type movement. The watch itself is classed as a smaller Pulsar watch with a 38mm casing diameter. On the face of it, this watch seems quite similar to number 7 but at its heart, it uses completely different technology. This model features a Pulsar Kinetic movement that as I’ve previously mentioned has many benefits over a traditional automatic movement. The dial has a high visibility design with the large numerals and lume coated hour and minute hands. Something a bit different this time round is this Pulsar dual display watch. 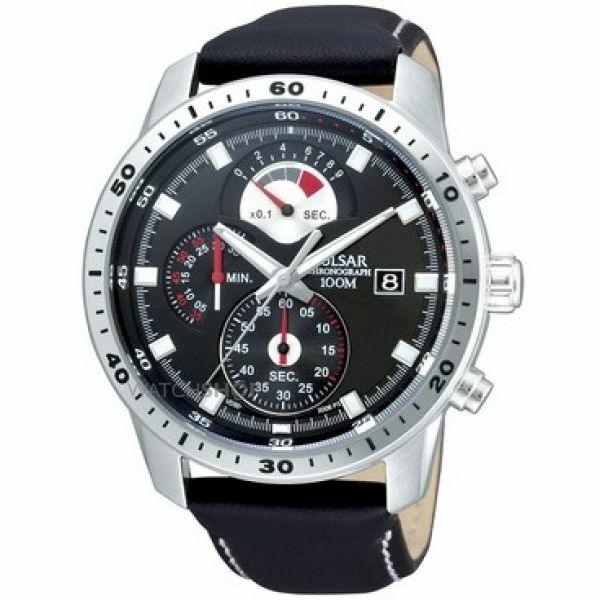 This Pulsar Sport watch is made from a black ion-plated stainless steel and is fitted with a Japanese chronograph quartz movement that displays both a digital time and analogue display. It’s a pretty huge Pulsar watch, the casing diameter measures 46mm and it has a thickness of 16mm making it quite chunky indeed. 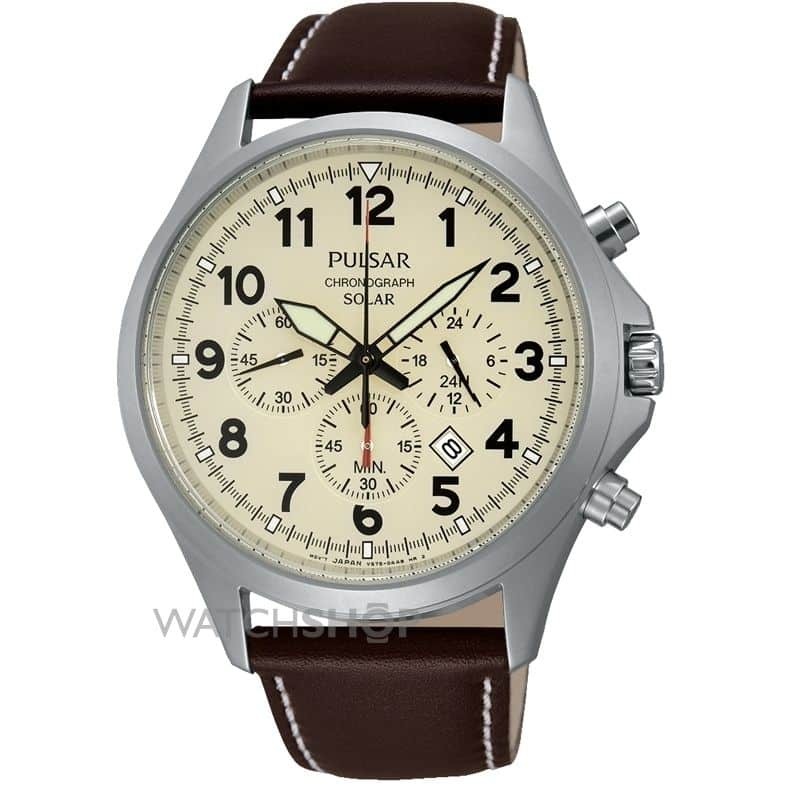 I love the look of this sturdy Pulsar chronograph watch. The yellow detailing that’s been used on the dial for the hands and around the edges works brilliantly in my opinion. Again it’s quite a large Pulsar with a 46mm casing diameter and 12mm thickness. So whilst it’s large, it isn’t actually too chunky. The watch runs on a Pulsar Solar movement that means it uses light to power itself and never requires a battery. 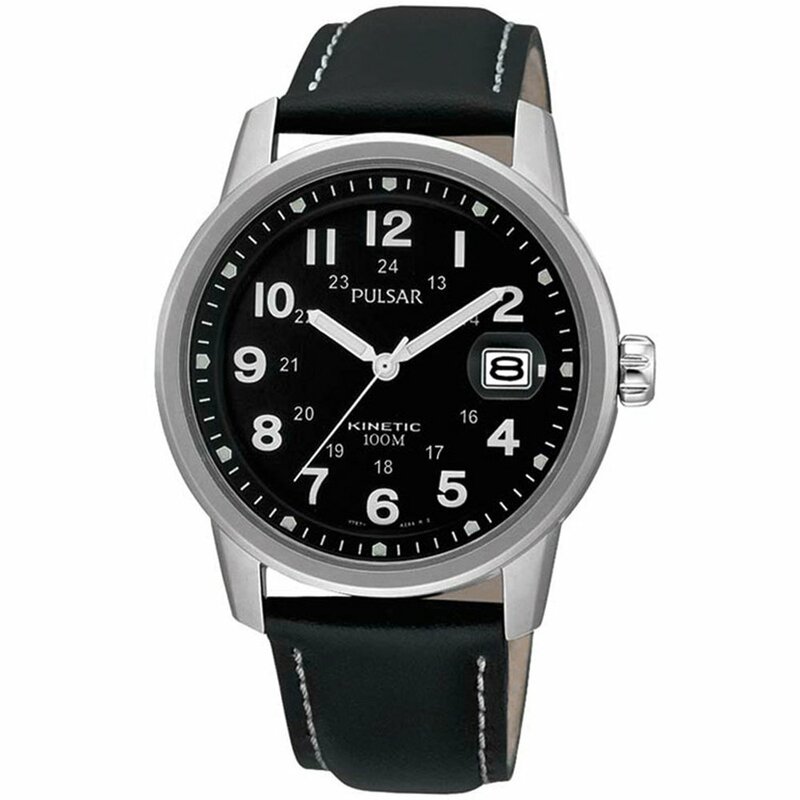 Pulsar pretty much never come to mind when I think of minimalist watches, but they have a pretty nice selection that are worth checking out. This timepiece has a simple laid back design with short hour markers and hands. The dial is a smooth off-white colour that goes great with the genuine leather strap. The watch is powered by a traditional Japanese quartz movement and has a 100m water resistance rating. This is about as close as it gets for affordable Pulsar watches that make the best-selling lists. This is bound to be a popular choice down to the sleek style alone. There isn’t much in the way of extra features, yes there’s a day & date display, but it has a normal Japanese quartz movement and the standard Pulsar 100m water resistance rating. All in all, it’s a great watch with some great design, though. 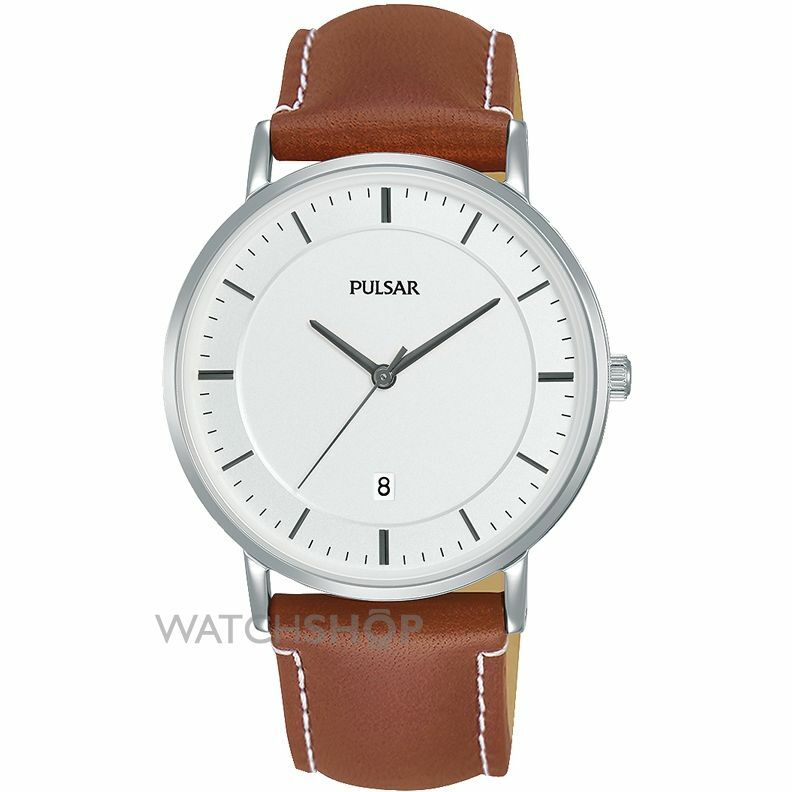 This next stylish Pulsar watch has a sturdy fabric strap. We don’t often have many fabric strapped watches that makes it into these lists so it’s good to see the odd one make it in. This model has a very easy to read dial design with bold hour markers and a black on white date function. It’s powered by a Japanese quartz movement and you guess it, has a 100m water resistance rating. Possibly one of the most affordable Pulsar watches on the list, but it does lack a lot of the better features. 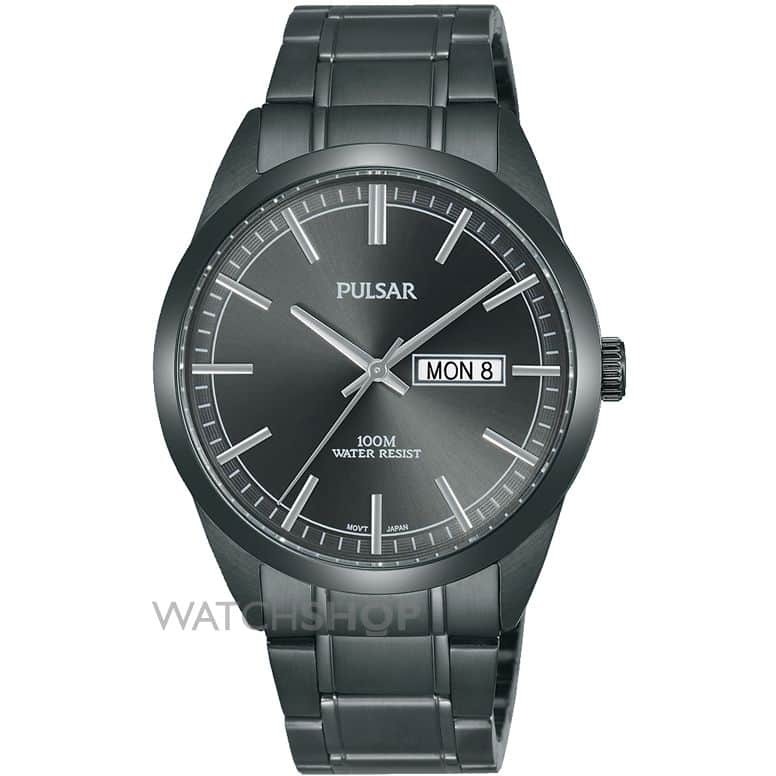 The last one to be featured in this list of the best Pulsar watches for men is the PAR187X1. 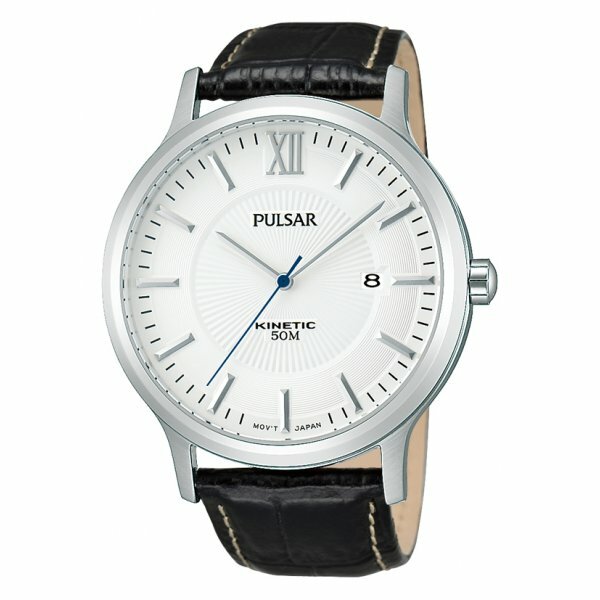 This is an attractive looking Pulsar timepiece that features a Kinetic movement. This is a great blend between automatic and quartz, it uses the movement of your wrist to charge the watch which in turn runs a quartz movement. No battery changing is required. I like the little detail they’ve gone for with the blue seconds hand on this model, a slight touch of colour that’s been done very well. 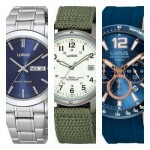 I hope you enjoyed taking a look through these 15 best Pulsar watches for men. 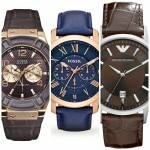 All of these watches are available in the UK at the moment. As always it would be great to hear what your favourites were so let me know in the comment section below.